On Saturday May 12th we formally admitted Patrick Abbott into the Secular Franciscan Order. Welcome Patrick! His formation as an Inquirer completed, Patrick now becomes a Candidate. Guided by the Holy Spirit and with the support of his fraternity, Patrick will now be learning more about the riches of the Secular Franciscan Order. Pictured above from left to right is Bill Hunt OFS, Treasurer (and Patrick’s sponsor); Br. 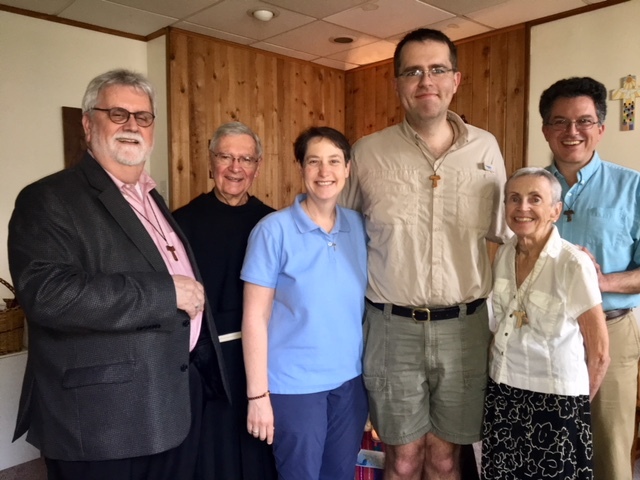 Paul McMullen TOR, Spiritual Assistant; Laura Rainey OFS, Minister; Patrick Abbott; MaryCatherine Bibro OFS, Vice-Minister; Lenny Garcia OFS, Formation Director.